"Over the course of the last 20 years, I strove to promote advanced technology to enable surgery to be done in the most minimally invasive way without compromising surgical principles. This has included adopting single incision laparoscopic surgery, robotic surgery and incisionless natural orifice surgery ... Read More for the treatment of bariatrics, breast cancer therapy, hepatobiliary disease, hernia surgery, reflux disease, endocrine disorders and colon surgery. I feel care should be individualized and all treatment options considered when making a decision for surgery." 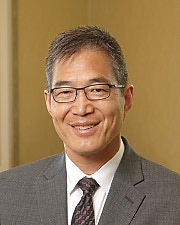 Manfred Chiang, MD offers services at multiple WI locations.